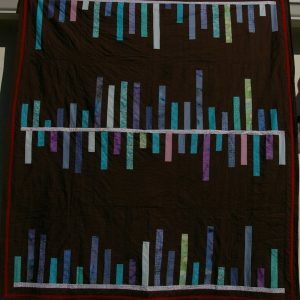 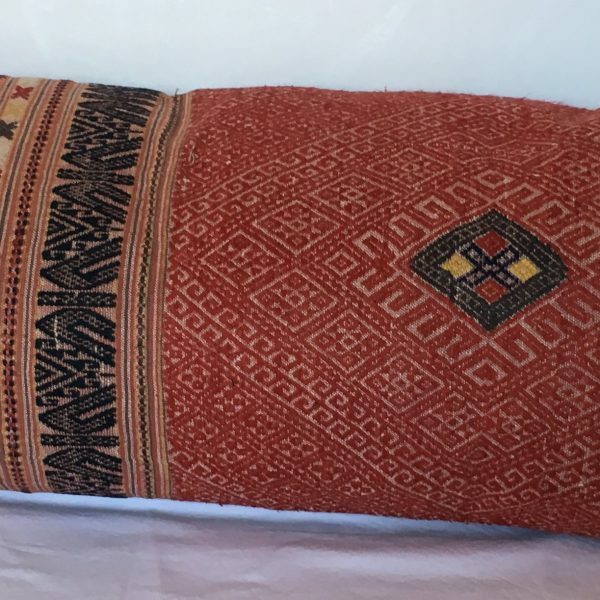 Hand woven Thai silk bolster. 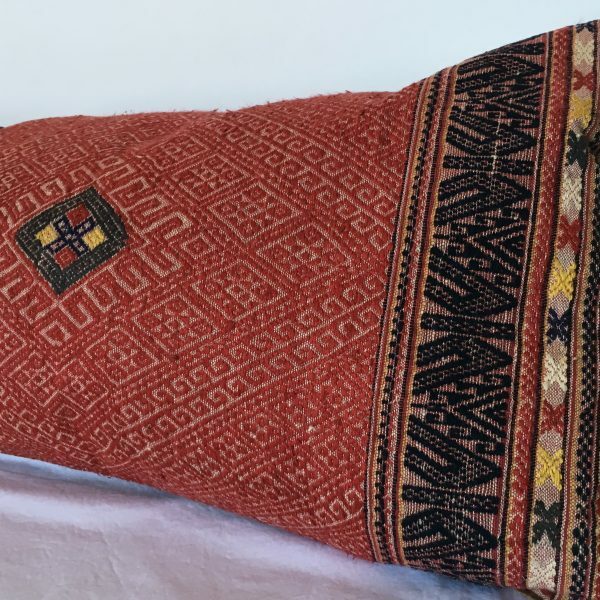 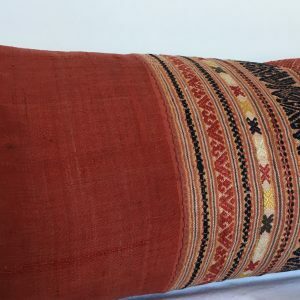 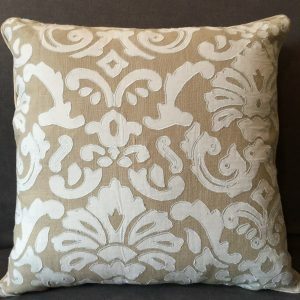 Gorgeous hand woven Thai silk bolster. 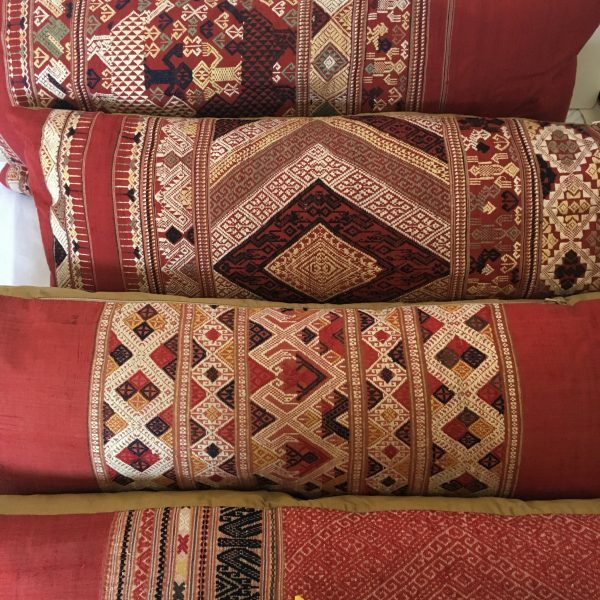 Rich gold and red traditional pattern hand woven silk with a complementary raw silk back.